Buchanan Mall Celebration in S.F. You are at:Home»English»Nor Cal News»Buchanan Mall Celebration in S.F. SAN FRANCISCO — A 50th anniversary celebration of Buchanan Mall will be held on Saturday and Sunday, June 2-3, from 10 a.m. to 5 p.m. 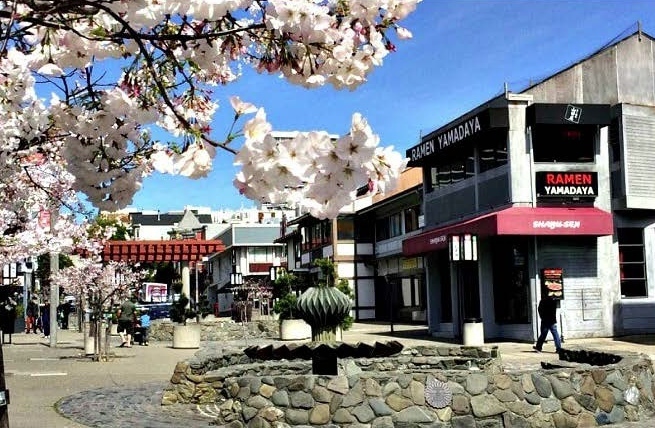 The mall is located on Buchanan Street between Post and Sutter in San Francisco Japantown. Two origami-inspired fountains and other elements were designed by noted sculptor Ruth Asawa. It is the home of family-owned businesses such as Benkyodo, Paper Tree and Soko Hardware as well as the senior service agency Kimochi. Dedicated to the merchants, property owners, community organizations and valued visitors, the celebration will feature music, dance and other cultural performances. Sponsored by Japantown Task Force Inc., Nihonmachi Parking Corporation, and Japantown Community Benefit District Inc.